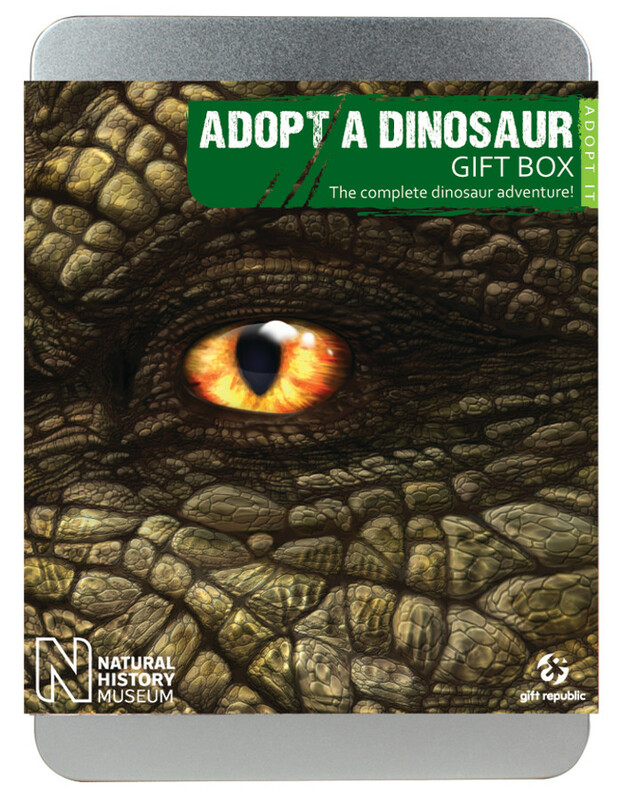 This novelty gift lets you adopt a dinosaur for 12 months – perfect for prehistoric enthusiasts. 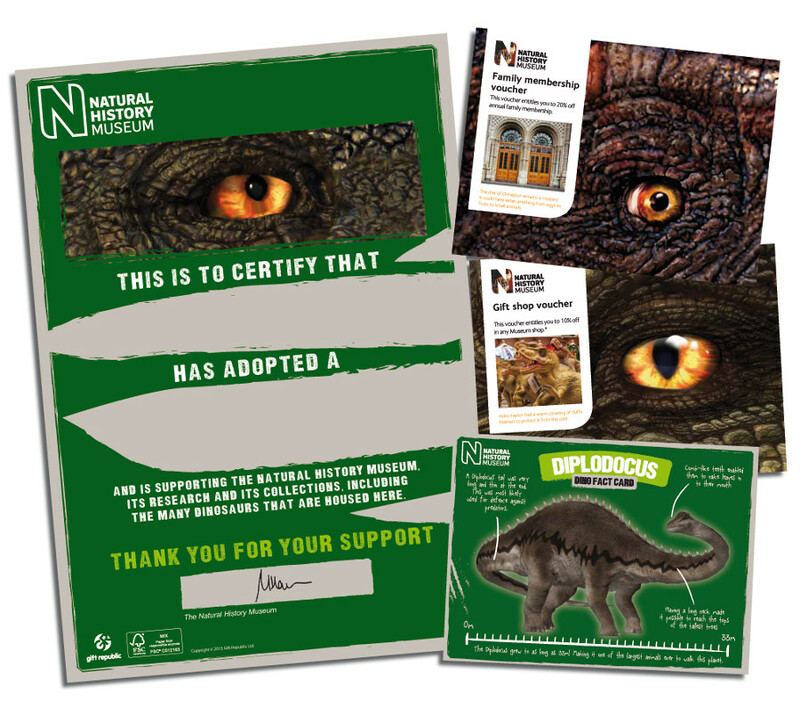 Adopting the dinosaur means you will be supporting the Natural History Museum, its research and its collections, including the many dinosaurs that are housed there. 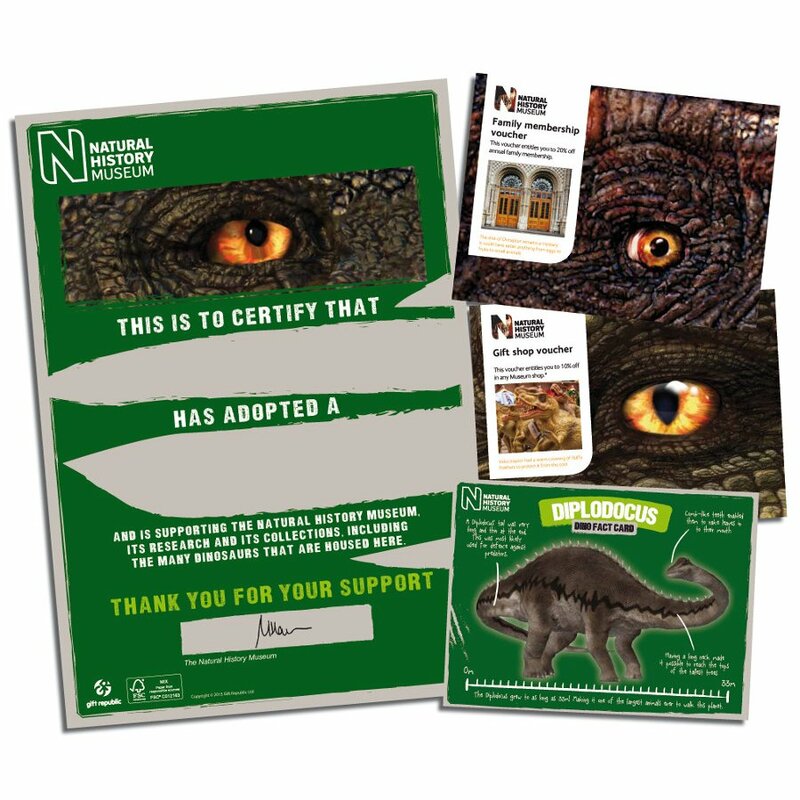 Once you have registered your gift pack by post or online you will receive a personalised supporter certificate, a dinosaur fact card, a 10% discount voucher for use in Museum shops and a 20% discount voucher on family membership to the Natural History Museum. Adoption lasts for 12 months from the date of registration. 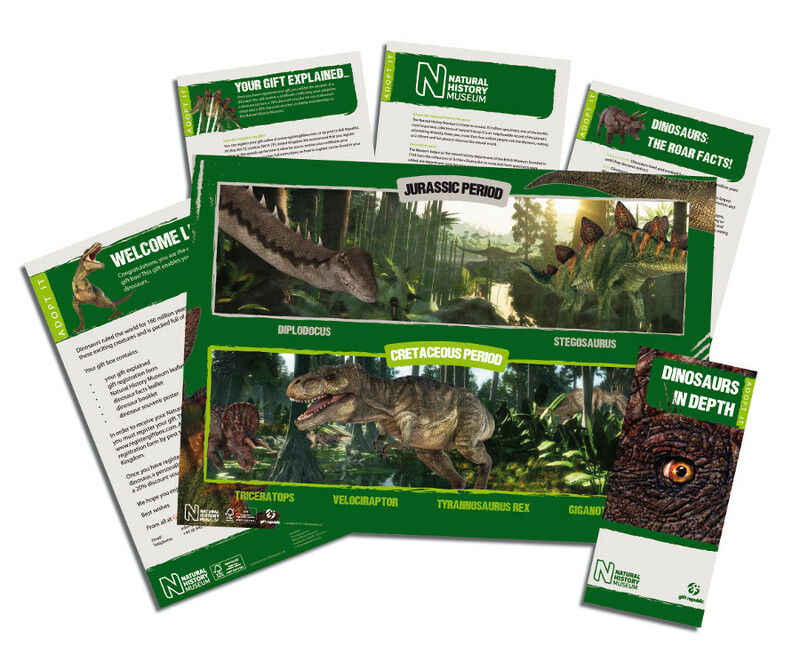 10% of proceeds will be donated to the Natural History Museum to support its research and collections. 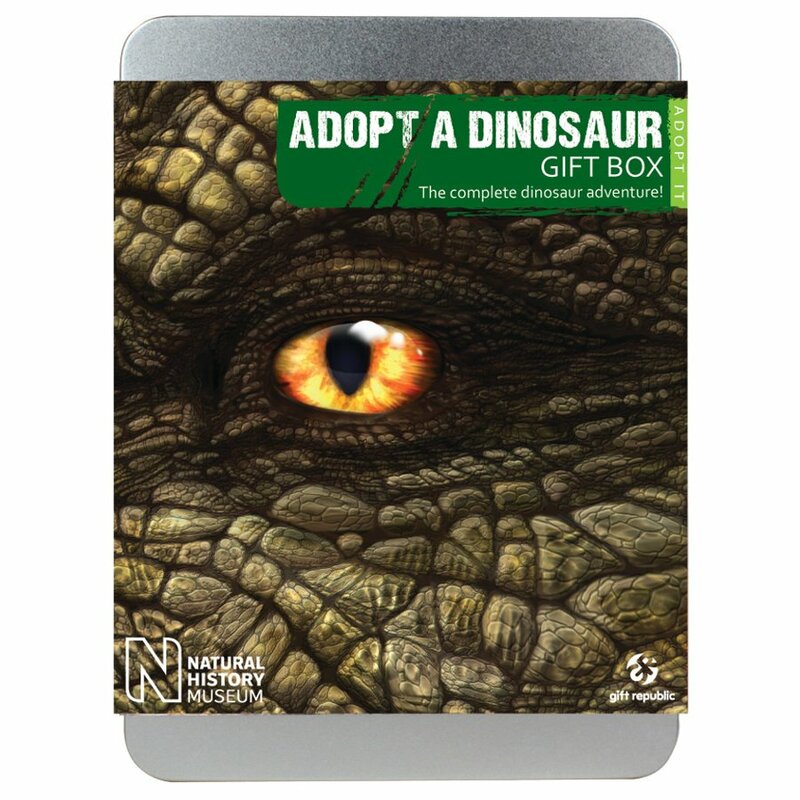 The Adopt a Dinosaur Gift Pack product ethics are indicated below. To learn more about these product ethics and to see related products, follow the links below. 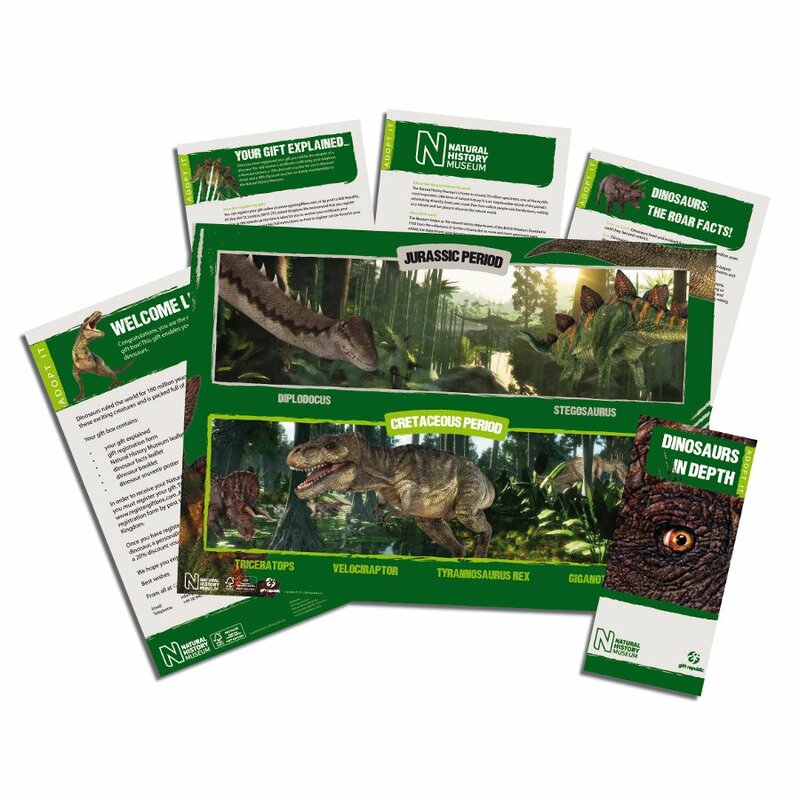 There are currently no questions to display about Adopt a Dinosaur Gift Pack.